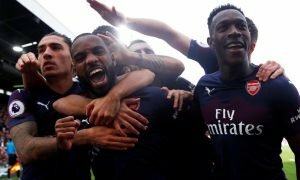 Arsenal and Spurs given boost in midfielder pursuit | The Transfer Tavern | Where football transfer rumours fly or die! Arsenal and Tottenham fans in the Football Transfer Tavern have been left on tenterhooks after Rennes conceded that midfield sensation Yann M’Vila has asked to leave the club with a possible Premier League switch looming. Sky Sports report that the highly rated midfielder, who is valued at £15 million, seeks a new challenge and Rennes have now confirmed that it would be best for all parties if they let him leave during the current transfer window. “Yes, he feels like leaving,” Rennes general manager Pierre Dreossi admitted to Maxifoot. “But it is not a priority for us to sell. If he has to leave, he will leave. But if it is not worth it for him or for us, he will stay until the end of the season. 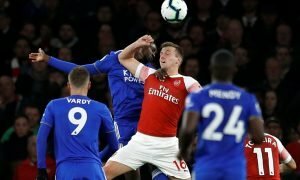 The French international is thought to be attracting attention from the likes of Tottenham, Arsenal and Russian giants Zenit St Petersburg, and he admits that he wants to leave the Brittany-based club. He said: “The club have received offers. M’Vila is only 22-years-old but has already made 22 international appearances for Les Bleus, featuring in the squad that took part in Euro 2012 last summer in Poland and Ukraine. Where will M’Vila end up this January? Vote in our polls below.